Malta's prime minister has far too much power and its judges and prosecutors lack independence, Europe's constitutional watchdog has said. Their new report sheds light on the erosion of rule of law that led to corruption scandals uncovered by the country's top journalist, Daphne Caruana Galizia, and her subsequent murder in 2017. It also shows why Malta is already facing informal European Commission scrutiny over its compliance with EU norms, as are Hungary and Poland in formal terms. The 37-page report was published on Monday (17 December) by the Venice Commission, a panel of jurists at the Council of Europe in Strasbourg, Europe's main pro-democracy watchdog. 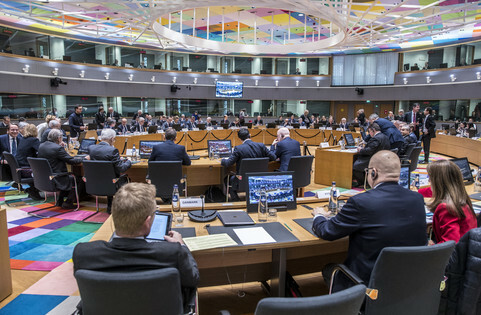 Malta's "prime minister is at the centre of power and other actors (president, parliament, cabinet of ministers, judiciary, ombudsman) have too weak an institutional position to provide sufficient checks and balances," it said. "The wide powers of appointments, that the prime minister enjoys, make this institution too powerful and create a serious risk for the rule of law," it added. 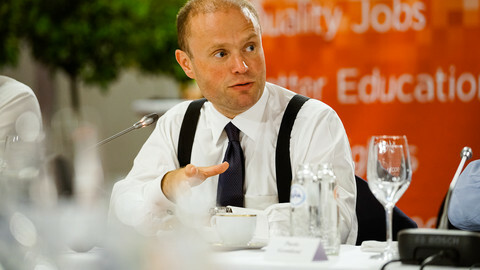 It highlighted the fact that the incumbent PM, Joseph Muscat, has the power to pick the chief justice and other judges in an "uncircumscribed statutory discretion" even though the "principle of independence of the judiciary" means that "selection of judges and magistrates be made upon merit and any undue political influence should be excluded". Muscat also gets to pick the country's too-powerful attorney general and its police chief. The attorney general acts as Muscat's legal advisor, conducts prosecutions, and chairs its Financial Intelligence Analysis Unit, the country's main anti-fraud body. "This is problematic from the viewpoint of the principle of democratic checks and balances and the separation of powers," the Venice Commission noted. 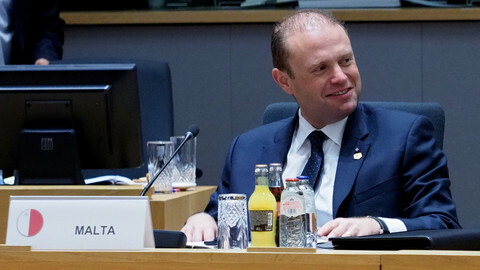 Malta also has a Permanent Commission Against Corruption, but here too Muscat chooses its members, who do no more than file reports to his justice minister, making it so ineffective that it "should be dissolved". The PM dishes out lucrative posts on parliamentary commissions to MPs and hands out top civil service jobs, giving people a "financial incentive" to comply with his authority, the report noted. The purely symbolic role of the president and the lack of an upper house in parliament compound the problem. Malta has an ombudsman, but its "requests for information are frequently not complied with", which Monday's text called "worrying" and "inadmissible". The Venice Commission's reports are non-binding, but its previous ones on Hungary and Poland underpinned EU decisions to start sanctions procedures there over abuse of rule of law. 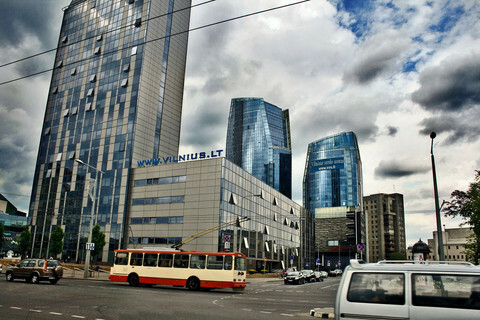 Muscat's "uncircumscribed" authority equates to the kind of one-man rule that Hungary's prime minister Viktor Orban, and Poland's ruling party chief, Jaroslaw Kaczynski, are trying to create in Budapest and Warsaw. But Malta's problems were inherited from its constitution, adopted in 1964 when it stopped being a British colony. Muscat himself said on Monday that a "constitutional steering committee" would "begin examining, consulting and implementing" changes. But for his critics, the way he has wielded his unchecked power gives little hope he will bring the country into line with EU norms. 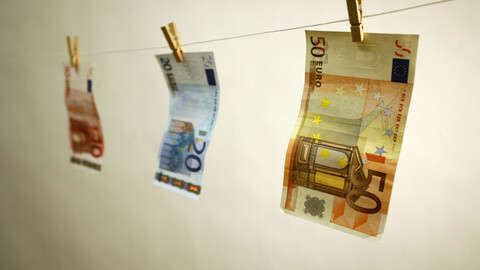 The prime minister's five years in office have seen a multiplication of high-level corruption scandals in parallel with a financial boom based on Malta's online gambling industry and its sales of EU passports to wealthy foreigners. Revelations of kickbacks and shady offshore structures linked to his chief of staff and other senior officials have not seen anybody brought to justice or even lose their jobs. The people who murdered the woman that exposed many of them, Caruana Galizia, have not been brought to justice either. Muscat's failure to protect her in the first place was also highlighted in Monday's text. "The authorities knew or ought to have known at the time of the existence of a real and immediate risk ... [and] failed to take measures within the scope of their powers which, judged reasonably, might have been expected to avoid that risk," the Venice Commission said. The assassination and the killer's impunity have had a chilling effect on other Muscat critics. Former police chiefs and FIUA members approached by EUobserver for comment in recent months have been too afraid for their own safety to speak out. 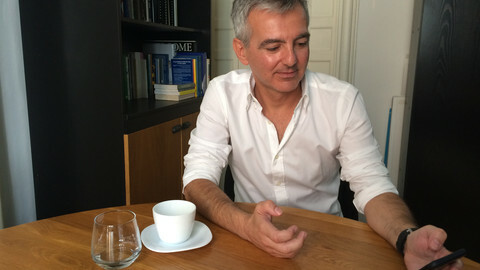 Simon Busuttil, the former leader of Malta's opposition party, is also afraid. "I feel there is a risk because of Daphne, if Daphne had not happened, I would not fear for my life," he recently told this website. "There has been a ... capture of all the important institutions in the country. That includes the police," Busuttil said. The rot in Malta comes amid sanctions procedures to suspend the EU voting rights of Hungary and Poland over their dismantling of democratic norms. Abuse of rule of law in Cyprus and Romania have also put them on the EU's radar for similar action. Martin Kuijer, a Dutch expert who helped to write the Venice Commission study, told The Times of Malta, one of its few independent media, that he did not envisage EU punitive measures against Muscat, in part due to the inherited nature of Malta's problem. 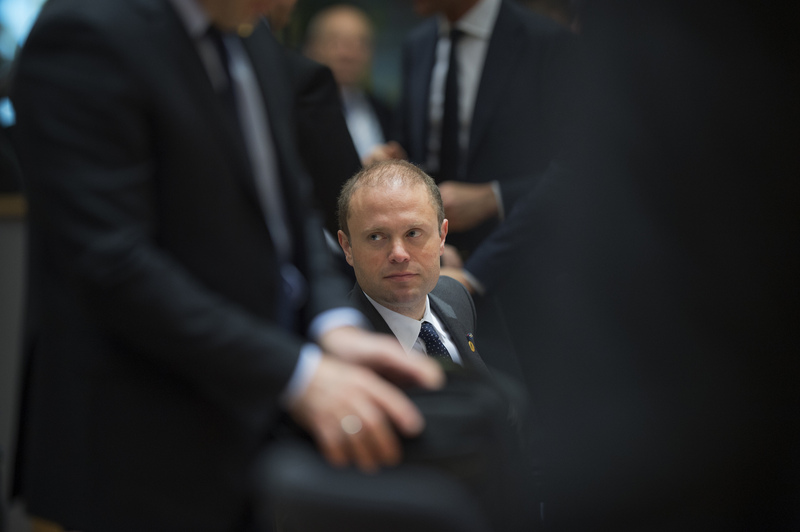 "I don't envisage this [threat to suspend EU voting rights] in the case of Malta," he said. 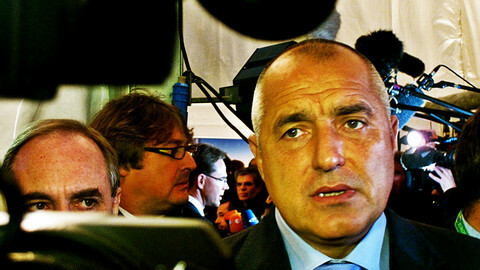 But a senior EU official told this website that the EU's justice commissioner, Vera Jourova, and the commission vice-president, Frans Timmermans, have mobilised their staff to conduct informal monitoring of the situation in the island state. "They decided to keep the process below the level of [Jean-Claude] Juncker [the commission president]," the EU source said. "The thinking was that the EU should focus on Hungary and Poland, because it cannot fight on too many fronts at the same time," he added. "The EU cannot afford to have rule-of-law crises everywhere," he said, amid concern that eurosceptic forces could use that as ammunition in European Parliament elections in May. The softly-softly approach might make sense in terms of EU politics. But for some, letting people like Muscat off the hook undermines the bloc's credibility as a reformer outside its borders. "In Pristina, the question every young person asked me: 'Why is Malta a member of the EU no matter how corrupt and dangerous it is, while Kosovo is kept out no matter how well it behaves? 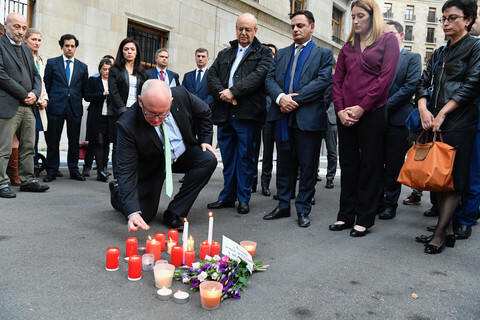 '," Matthew Caruana Galizia, Daphne's son, who is also a journalist, said on Monday after visiting Kosovo. 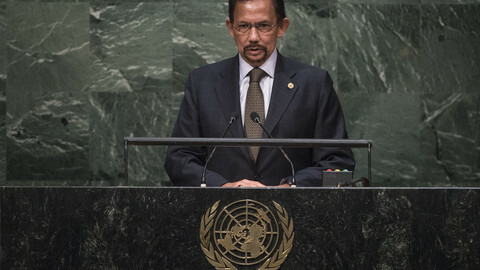 "For member states, it is all carrots and no sticks," he said.